Your friends will all have to mask their envy when you show up to your party wearing this great Pink Domino Adult Mask! 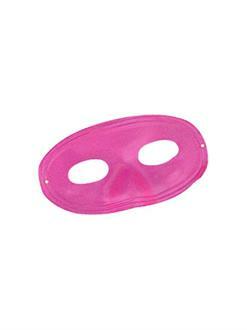 This simple mask, which is entirely pink, covers the eyes and top of the nose. This is a versatile item that you can wear over and over again in different ways, so make sure you buy your very own today!